A PhD position is available for 3 years at the Insect Biology Research Institute (IRBI, University of Tours). The reproductive division of labor is the keystone of social organization in insect societies. Indeed, in these societies, few individuals monopolize reproduction, whereas the other colony members forego their own reproduction to perform the remaining tasks to maintain the colony. In termites, the access to reproduction is known to be controlled by the reproductives already present in the colony. Understanding how the reproductive differentiation occurred in termites and identifying the involved signals, are crucial questions to understand the evolution of social life and the ecological success of insect societies. In this PhD project, we propose to study how the reproductives of termites control the access to the reproduction of the other colony members. Among the involved signals, several studies highlighted the major role played by the volatile chemical compounds. However, other signals have been neglected so far, like the peptides or the vibratory signals. 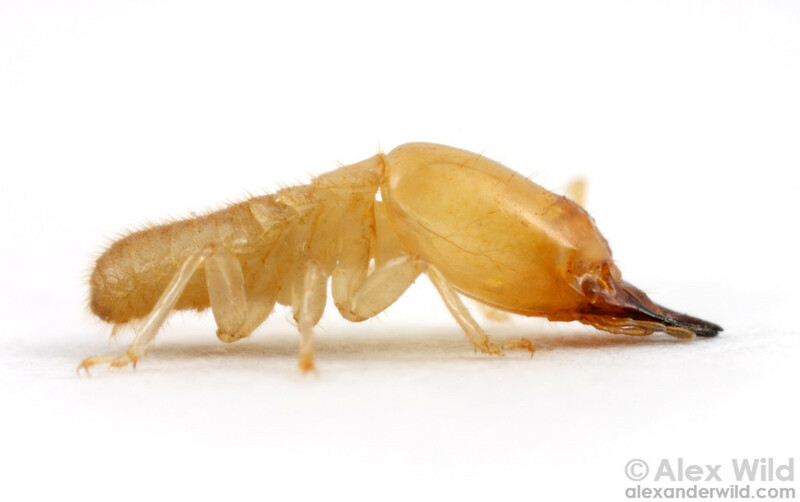 Nevertheless, in confined and solid environment of the underground termite nests (galleries in wood and soil), the specific nature of these two signals could transport or code the information of these signals more efficiently compared to the volatile compounds. Therefore, their study could represent a major transition in our understanding of insect societies. We will focus on the study of these three signals which are: the volatile pheromones, the non-volatile peptidic compounds and the vibratory signals. (1) Several decades of scientific research revealed that insect communication is mainly mediated by volatile chemical compounds. Either in a complex mixture covering the cuticle or in a more specific chemical blend produced by specialized glands. Even if a new pheromone specific of the reproductives have just been described in the literature in termites, its function and its impact on the reproductives differentiation remain to be clarified. We propose to study this pheromone as well as its volatility and its transmission to the other colony members. (2) Despite a growing number of studies involving the role of the peptidic compounds in insect communication, studies on their implication in the control of the reproductive access are scarce. In a second part, we propose to study the non-volatile peptidic compounds which are more suitable for the underground termite life, because they can be deposited by contact on the substrates. (3) The reproductives differentiation could also be controlled by specific behaviors of the reproductives but also by the other non-reproductive members of the colony. In several species of termites, the behaviors using vibratory signals are omnipresent, however their exact functions on the reproductives differentiation need more experimental demonstrations. We will test how the signals will be pursued by the other non-reproductive members of the colony and their impact on reproductives differentiation and on their social interactions. The model system, Reticulitermes flavipes, is a subterranean termite species present in France all around urban zones. It will be studied by joining chemical analyses and behavioral approaches. The signals, which some are under current investigation in the lab, will be tested alone or in combination. In order to validate the impacts of the studied signals on the reproductives differentiation, behavioral experiments will be processed by doing chemical stimulation and/or playback experiments. The PhD will be supported by two grants covering salary and experiments costs. Applicants must show interest in at least one research field of the project: behavioral ecology, evolutionary biology, entomology or chemical ecology. Knowledge in social insects, behavior, statistics (with R) and chemical analyses will be appreciated. A Master’s degree or equivalent is required. The Insect Biology Research Institute offers state-of-the-art equipment and expertise to study all aspects of insects biology, ranging from genomes to communities and covering research fields such as behavior, genomic, ecology, biochemistry and evolution. The laboratory is localized in Tours (1h from Paris), which is a historical town localized in the Unesco world heritage site of the Loire Valley Chateaux. Please submit your application by email to Christophe Lucas (christophe.lucas@univ-tours.fr) including a cover letter with your research interests, a CV and contacts of two potential referees. Contact information: phone: +33 247-367-372; Website; address: IRBI, CNRS UMR7261, University of Tours, Av. Monge 37200 Tours, France.